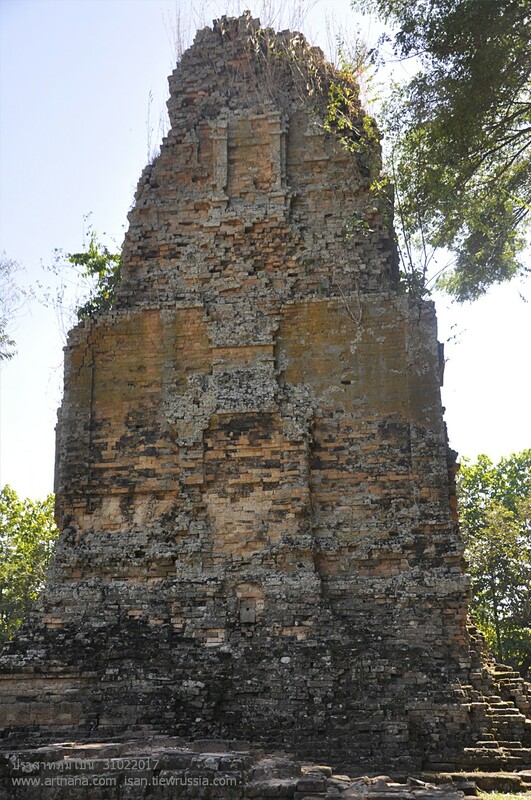 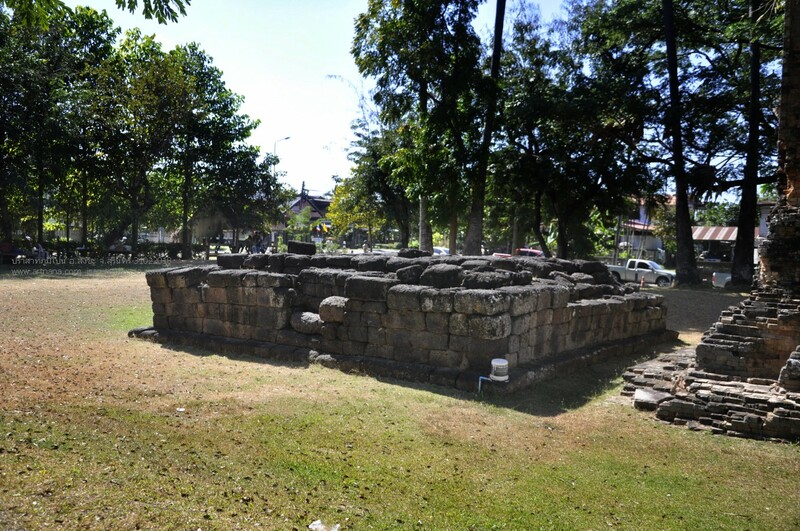 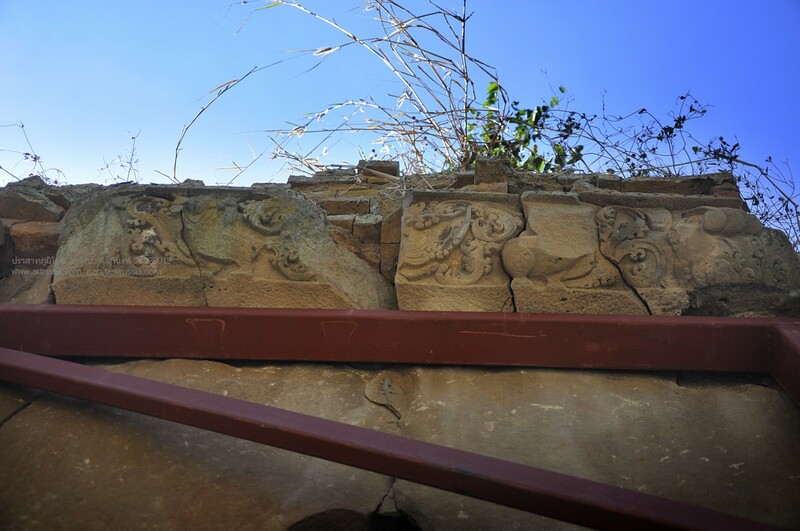 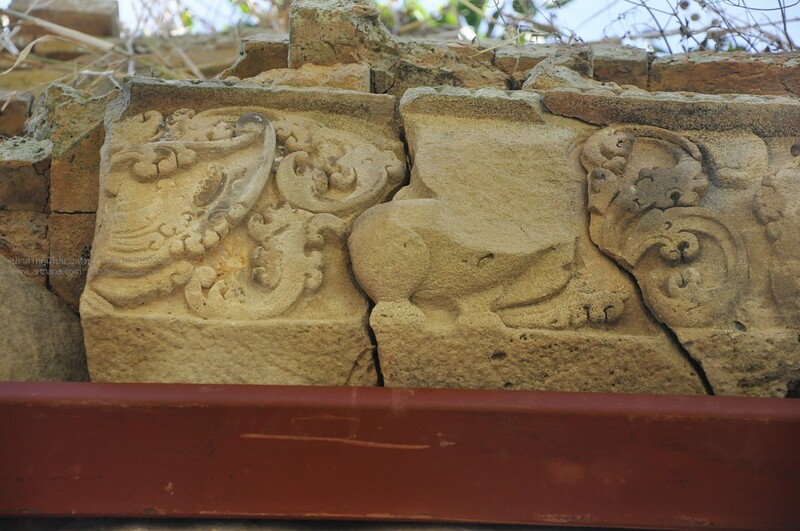 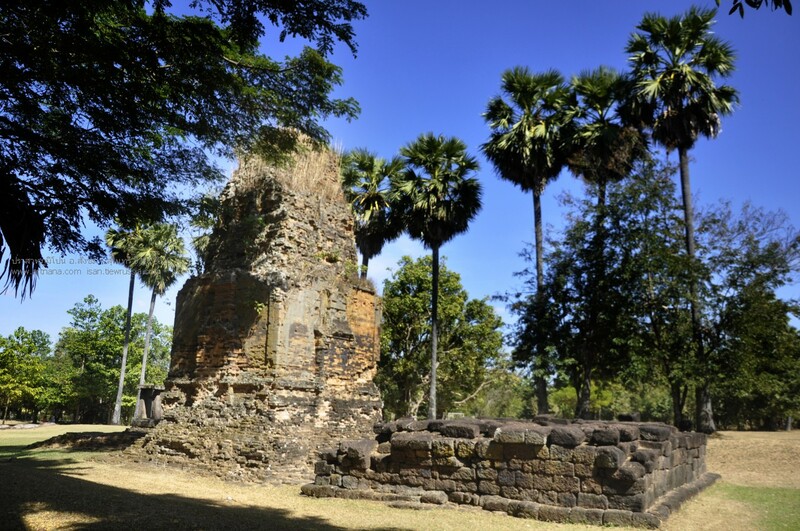 Prasat Phum Pon (sometimes known as Prasat Phumpon) is a little-known but rather important temple site. 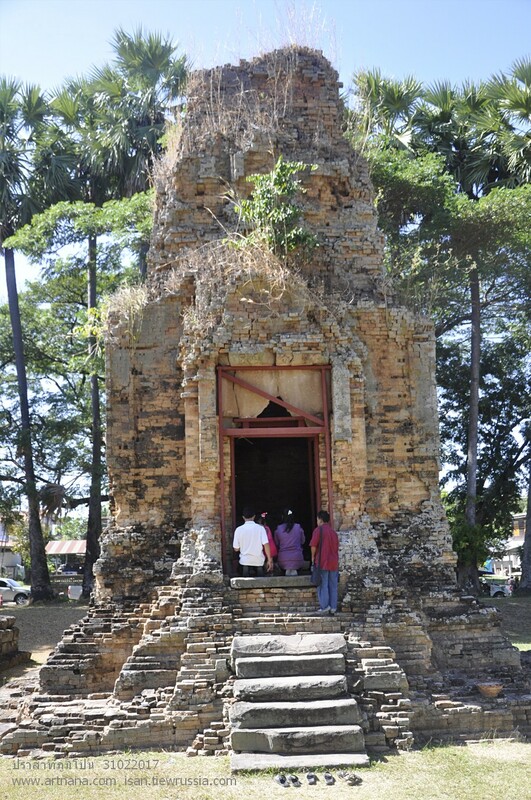 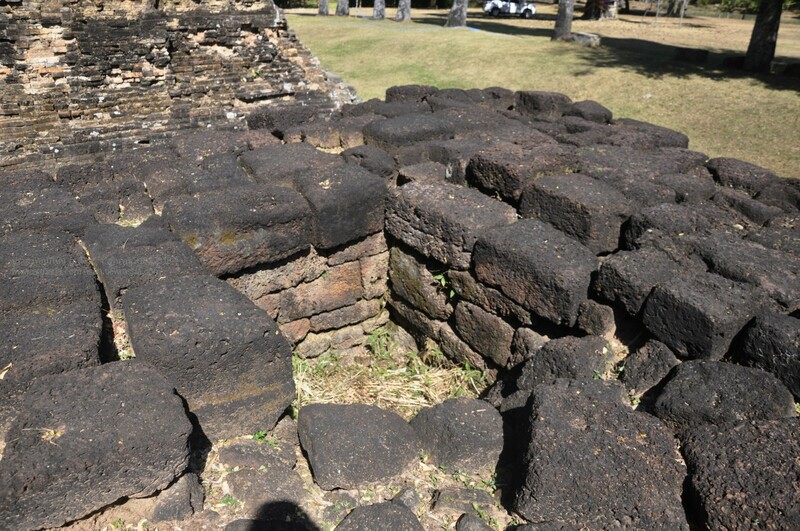 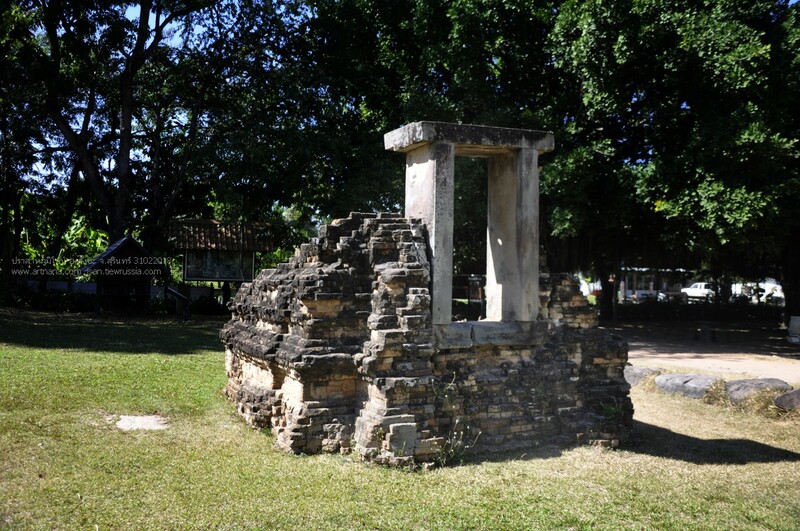 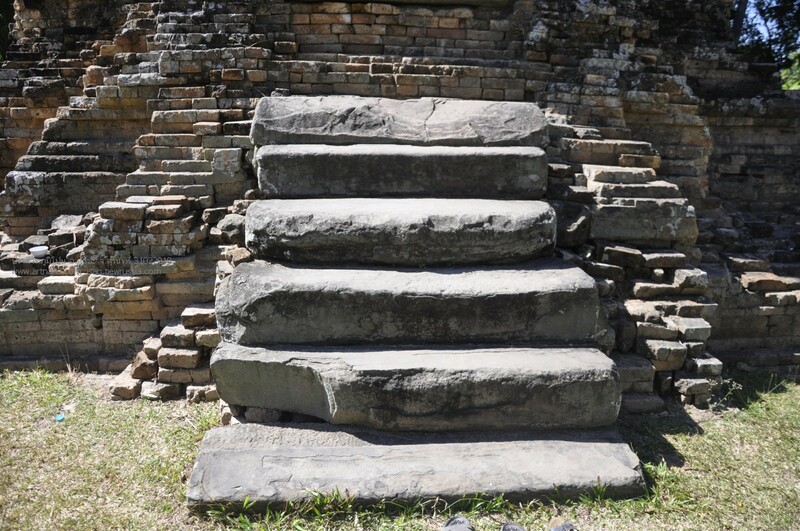 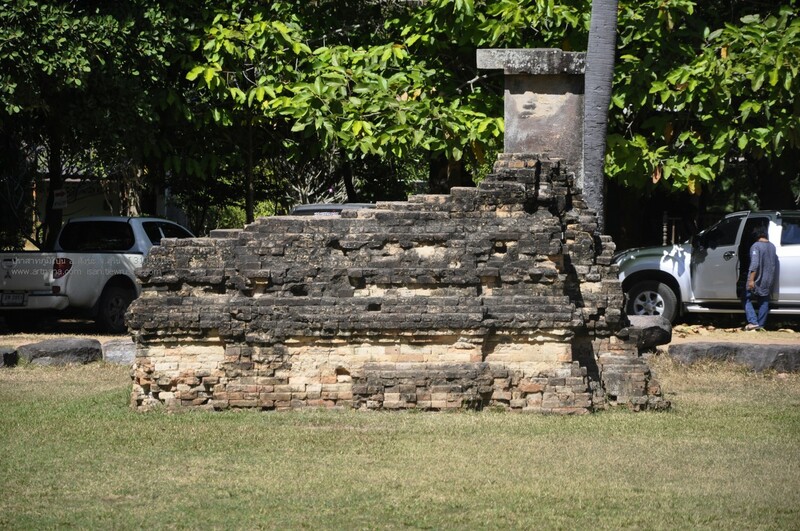 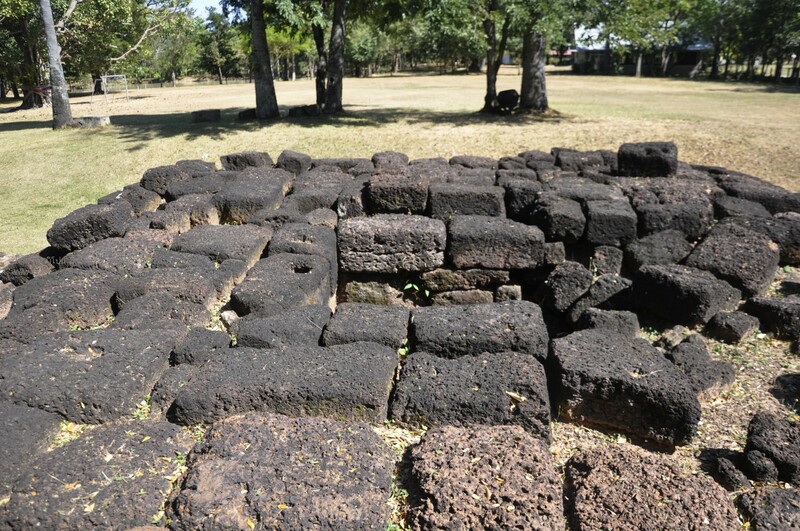 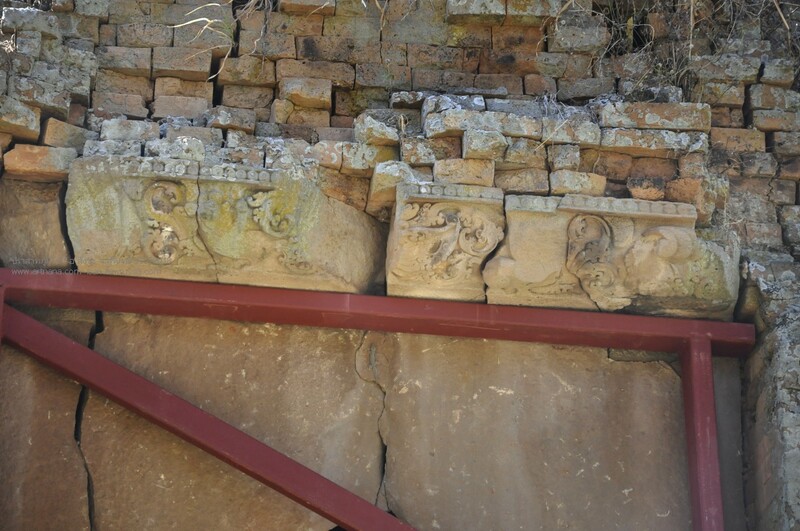 These brick shrines are far from the largest or most impressive Khmer temples in Thailand but they are the oldest. 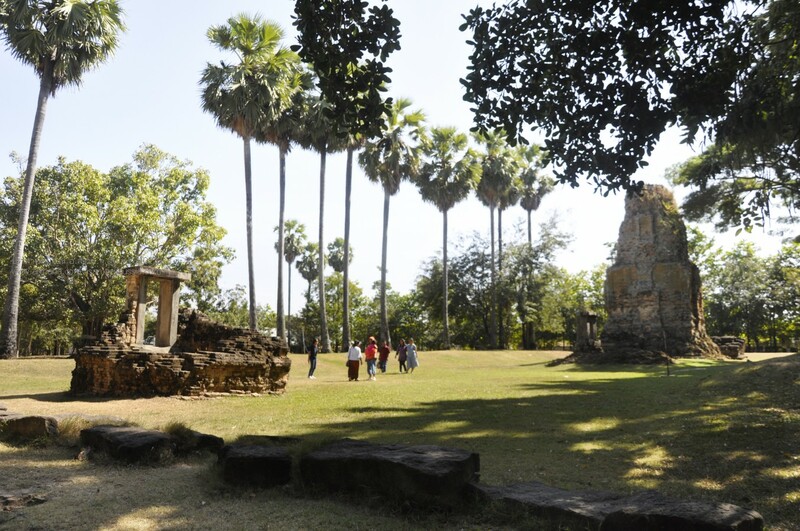 If you want to see magnificent Khmer temples, you had better head to Phimai near the city of Nakhon Ratchasima or to Phanom Rung in the countryside outside the small country town or Buriram. 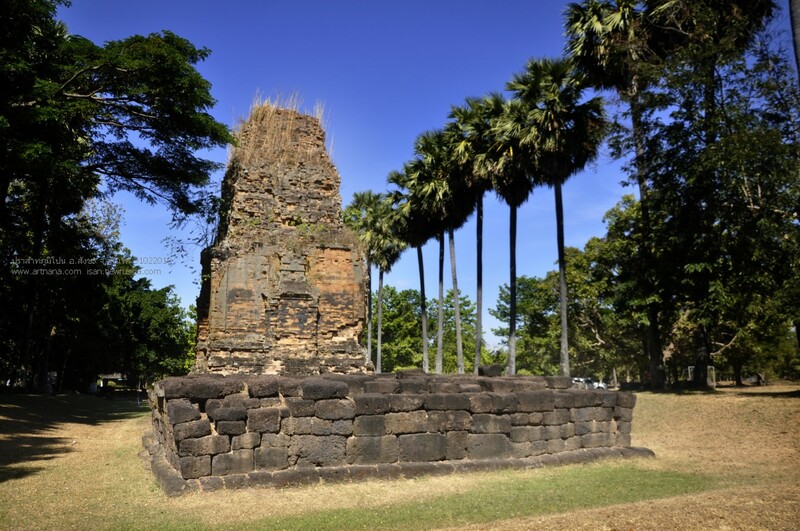 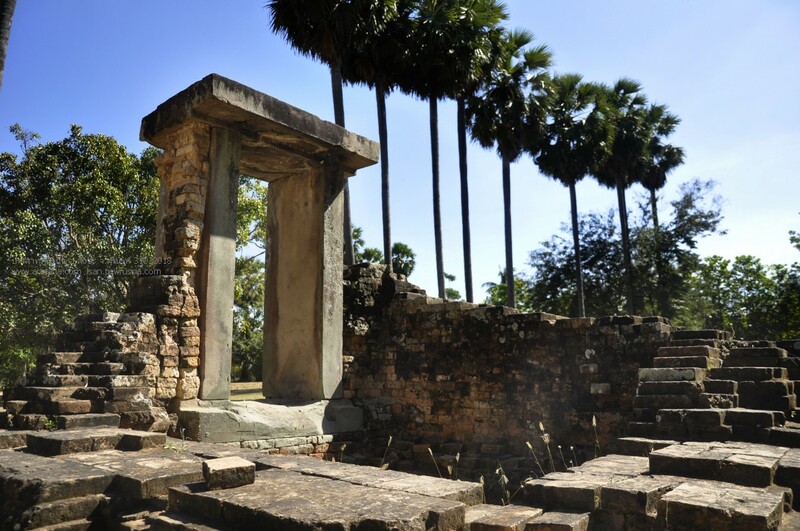 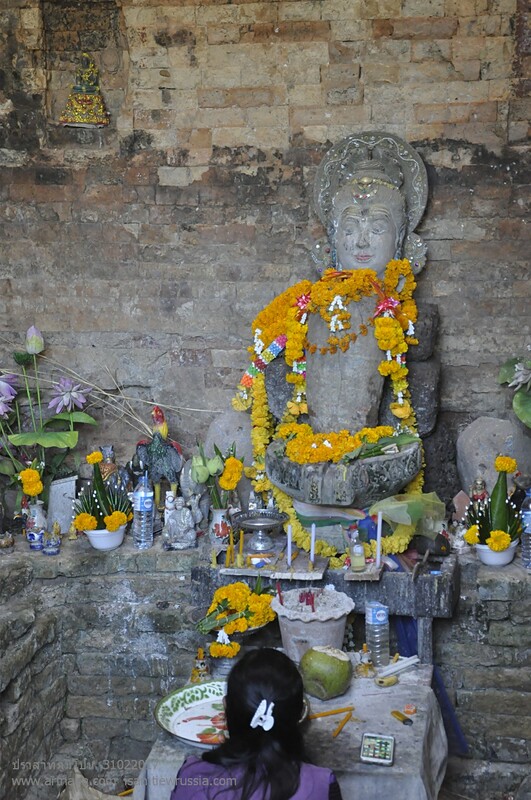 These temples offer magnificent Khmer architecture dating back almost a millennium. 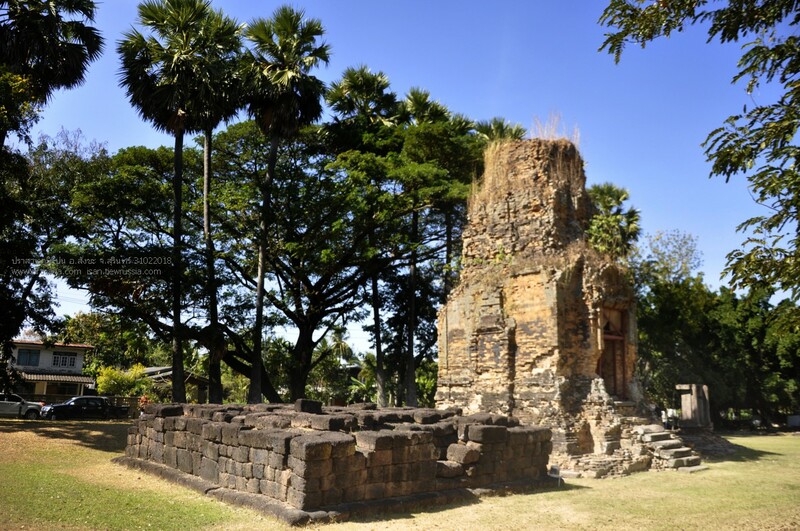 Both these temples easily rate among the finest extant Khmer temples anywhere and the most impressive ancient monuments in the kingdom of Thailand. 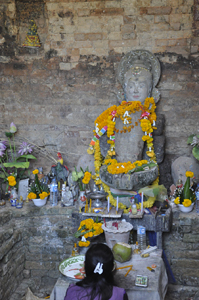 Set in the province of Surin, which still has 26% of the population who speak Khmer despite decades-long attempts to assimilate the ethnic Khmer into mainstream Thai society, Prasat Phum Pon is a much more humble affair altogether; but it does serve as a reminder of the long links of this part of modern Thailand with the Khmer kingdoms to the south of the Dongkrek Mountains. 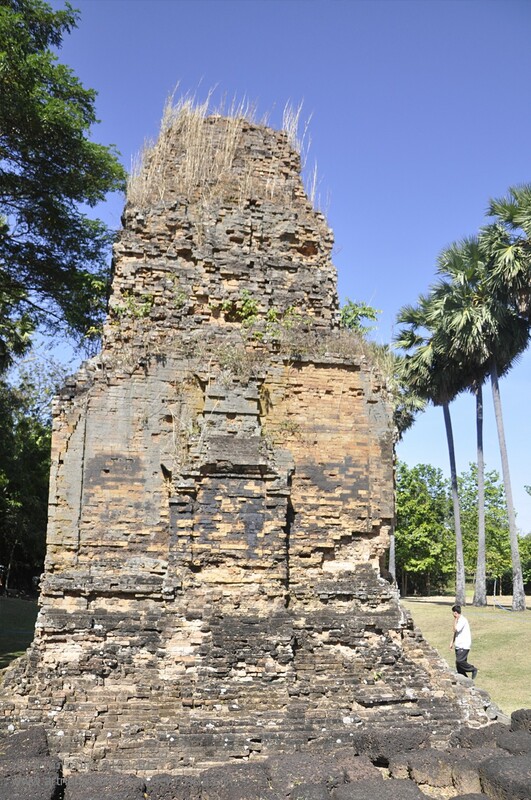 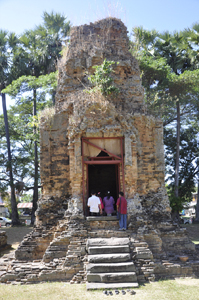 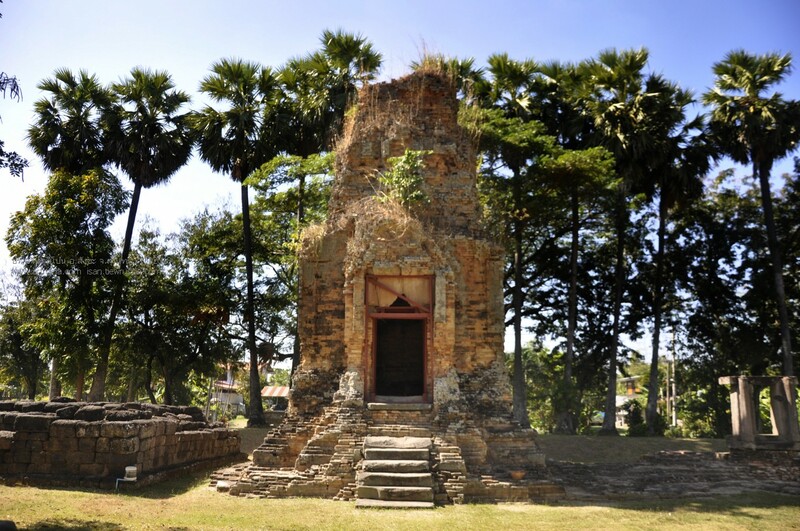 What makes Prasat Phum Pon such a rarity is that it is a Chenla temple. 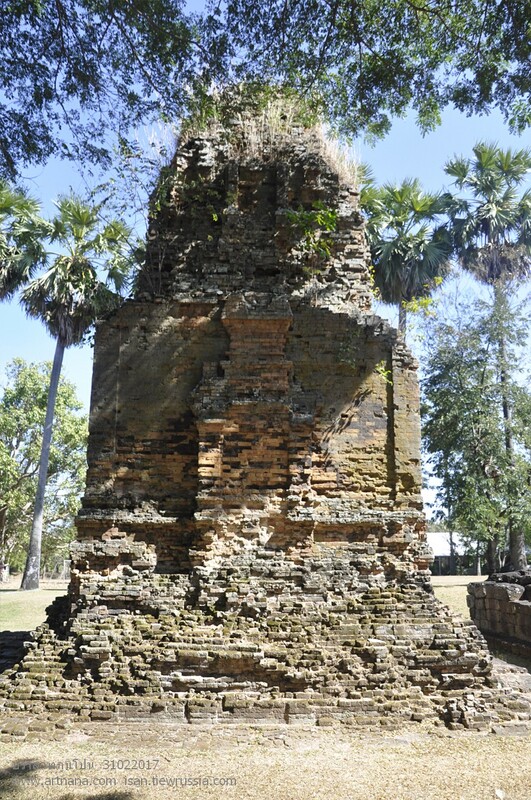 We are unaware of any other Khmer temple in Thailand which is attributable to the Chenla kingdom, a pre-Angkorian Khmer state whose capitals were centred in the present Cambodian province of Kampong Thom. 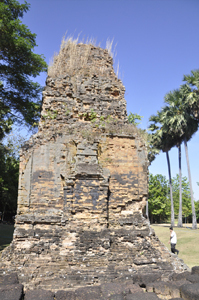 All the other Khmer shrines in Thailand date from the world-famous Angkor Empire, which reached into Northern Thailand at the height of its power. 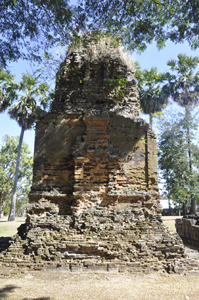 This comparatively humble shrine shows characteristic Chenla style architecture from the seventh century, with orange brickwork, a sparsely carved exterior and a pyramidial roof. 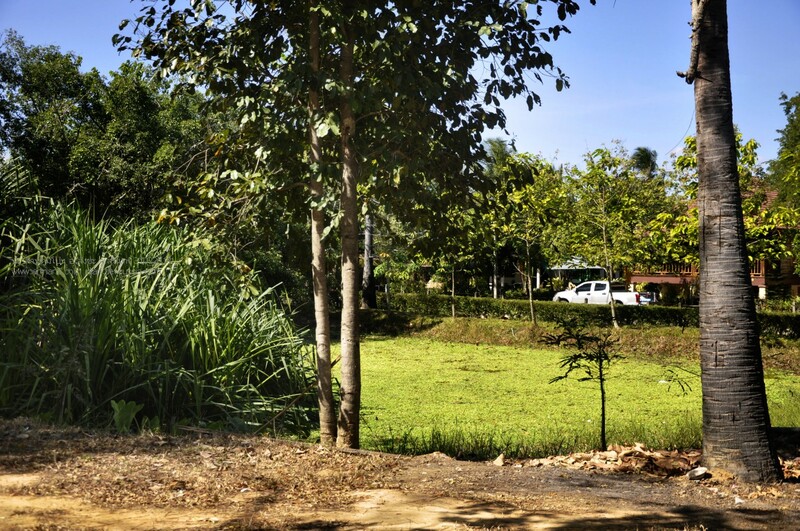 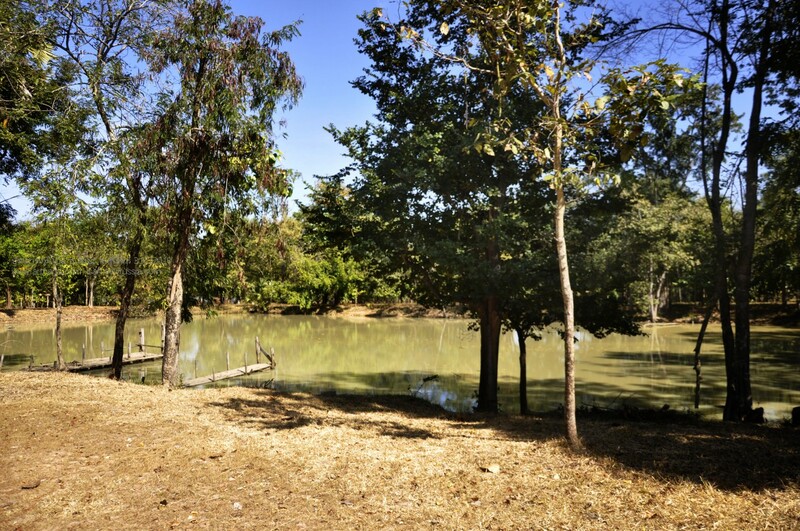 Encouragingly, a Khmer language school has now been established at the site to help promote the use of the long-suppressed language amongst Surin’s sizable ethnically Khmer minority.